Readers loved Rachel's Secret, the first book in BJ Hoff's wildly popular new series, The Riverhaven Years, and are eagerly awaiting the continuing story of young Amish widow, Rachel Brenneman, and Irish-American riverboat captain, Jeremiah Gant. 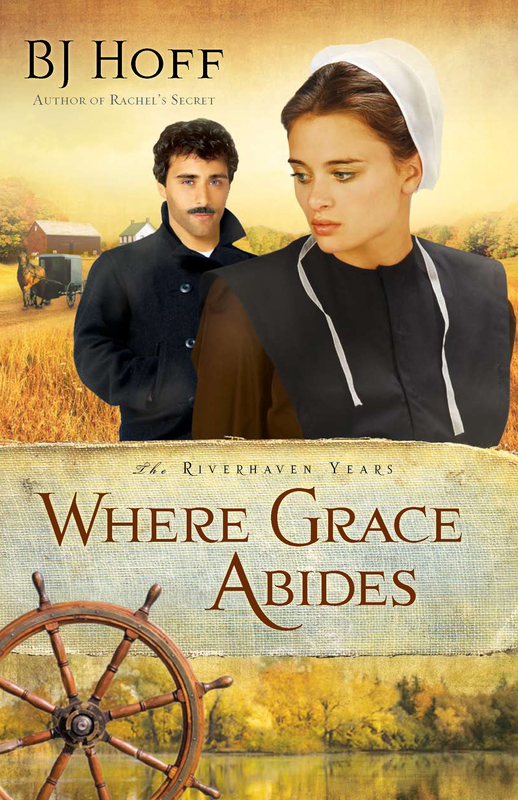 In Where Grace Abides, the compelling second book in the series, Hoff offers her readers an even closer look at the Amish community of Riverhaven and the people who live and love and work there. Secrets, treachery, and persecution are only a few of the challenges that test Rachel's faith and her love for the forbidden "outsider," while Gant's own hopes and dreams are dealt a life-changing blow, rendering the vow he made to Rachel seemingly impossible to honor. Many of the other characters first introduced in Rachel's Secret now find their gentle, unassuming lives of faith jeopardized by a malicious outside influence. At the same time, those striving to help runaway slaves escape to freedom through the Underground Railroad face deception and the danger of discovery. All the elements readers have come to expect from author BJ Hoff (romance, drama, great characters) join together in Where Grace Abides to fill the pages with a tender, endearing love story and a bold, inspiring journey of faith.